But their beauty and benefits don’t stop in the savory department. These colorful, sometimes exotic foods are broad in spectrum and serve us equally well when included in desserts and treats. Truth is veggies are the workhorses of the food kingdom transitioning between savory and sweet dishes without an issue. They are true multitaskers, sometimes appearing in a starring roles and other times in more subtle supportive roles but always making their presence known – adding flavor, texture and color. Potatoes, for example were a favorite ingredient at one time for adding moisture to many cakes – particularly good in chocolate cakes. They provided the moisture needed without adding density keeping the cakes light and fluffy. 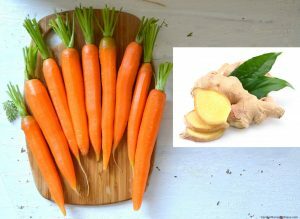 Carrots have been used in desserts as a sweet substitute for a very long time because of their natural sweetness. They also add both moisture and texture to your dishes and were favored in tough times when other sweeteners were too expensive or difficult to obtain. The many variations of carrot cake that have been handed down over the years are still family favorites in many households and is not only a great way to get children to enjoy their veggies but to see firsthand the versatility of them. Zucchini, because of its moisture and relatively subtle flavor is another favored veggie when it comes to making a “carrot like bread.” Zucchini bread is just as moist and delicious as it’s more orange relative. For the most part, veggies are dense in nutrients and light in calories. There are exceptions of course. Bottom line is this: There are plenty of ways to keep your taste buds happy and satisfied without adding a ton of unneeded calories to your desserts and treats. All it takes is an open mind and willingness to try new things with old ingredients. It’s time to add exciting new ingredients to your old worn out dessert recipes and turn that otherwise unhealthy dessert into something that actually contributes to your health. Here’s a yummy white flour, sugar and gluten free dessert recipe that squeezes in the added nutrition of carrots (along with all the other great ingredients) to bring it to another level. Take these along in your lunch box for a super snack lift throughout your day. Place walnuts in food processor and process until they resemble breadcrumbs. Add dates and other ingredients and process until mixture is well combined but still a little chunky. 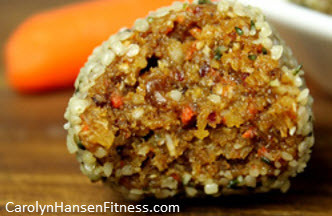 Shape into small 1” balls and roll in hemp hearts or coconut.